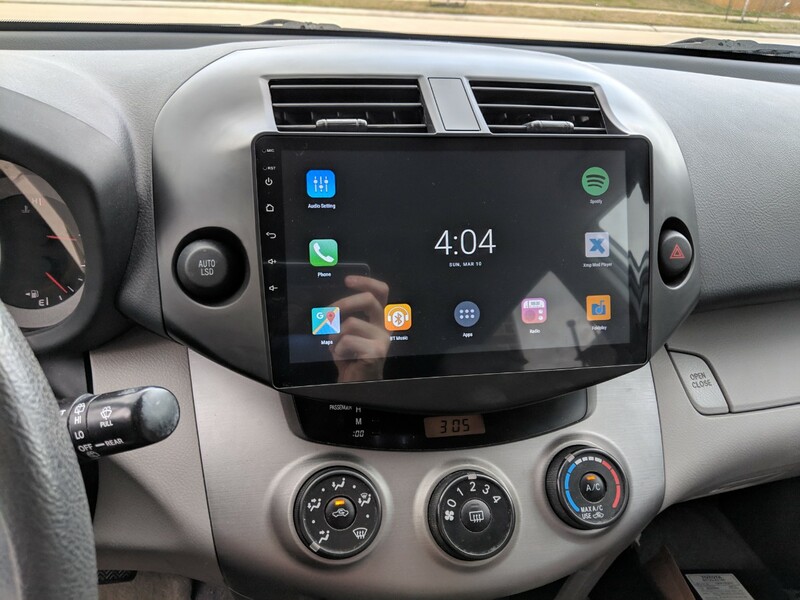 Just installed an Android head unit into my 06 rav4 v6 base - no jbl/bose/etc - like i said, BASE model. Including the stock HU, this is the 3rd or 4th head unit i've had in this car, and at least the 50th head unit i've installed in any vehicle over the years, so i'm no rookie. the head unit drives the stock speakers w/ its own internal amp. it has rca outs, but i'm not using them because i don't have any amps. the volume can be adjusted from 0 (mute) to 30 (full blast). overall it seems to be a pretty good head unit. the very first boot after being connected in the car takes about 25 seconds, but after that it comes back up in about 2-3 seconds. unfortunately it doesn't remember the last app you used or what it was playing, but that's still better than waiting 25 seconds for it to boot. screen looks great, and it runs what i need it to. the problem is that even at a volume setting of 1 (where 0 is mute), the volume is already kinda loud - too loud to have a normal conversation without having to raise your voice. volume 15 is loud enough that you have to yell to be heard by other passengers. i only tried higher volume levels with nothing connected, just to see how high the scale would go on screen. I don't really need it to be louder than what i get at 15 right now, unless maybe i'm listening to a quiet audiobook or podcast, but even then i can't see needing more than 20. I installed an app called "DB Meter" on the head unit, and according to it, with the engine idling in park and stereo at volume 0 (muted), it shows about 20db - seems reasonable for just ambient noise. turn volume up to 1 while playing some techno music with a heavy beat, and it jumps straight to 45-48db. turn it up to 10 and now it's producing between 50-55db. for reference, while doing 70mph on the highway, i usually turn this stereo up to around 4-6, depending on how smooth/quiet the road is. that should give you a pretty good idea just how loud it is - my car isn't all that quiet on the highway in terms of road noise. my thinking is that volume level 1 ought to produce maybe 25db max, vol 10 should produce around 40db, vol 20 about 55db, and vol 30 (max) should be around 70db. these are just ballpark guesses. never had this problem w/ the previous head units - they would all start at whisper levels (that you could barely hear over the engine idling) and gradually increase to being plenty loud even before i got to the max volume level. this one though... i've tried contacting the vendor and all they can tell me to do is reboot or offer me like $10 to "have it repaired locally". lol really? so i guess my question is - is there a way to lower the speaker output from this HU without affecting audio quality? to my non-audiophile ears, the quality is just fine - it's just too loud (insert jokes about too loud = too old). i like being able to talk with the other people in my car, and still have music on in the background (or have GPS instructions come thru the speakers). i opened the HU to see if maybe there was a trim pot i could adjust inside, but no such luck. also tried looking for a control panel or anything buried in the menus that would let me adjust gain, but no luck there either. any other ideas? Last edited by Gibson99; 03-14-2019 at 03:46 PM. Before and after if anyone's curious. 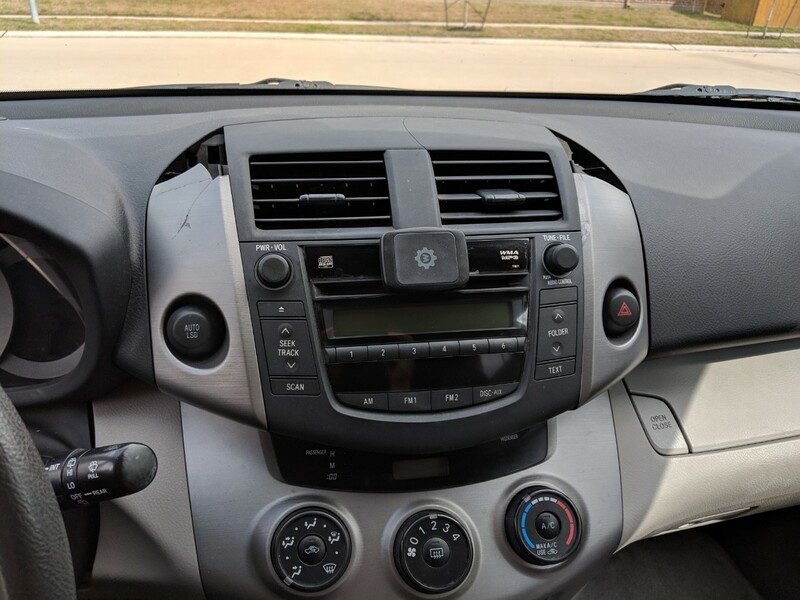 The rectangle covering the CD slot on the stock head unit is a magnet mount for my phone. And yes, the screen is so big it covers about a quarter inch of the bottom of the vents. It replaced all the broken stock plastics, so all i had to keep was the hazard and LSD buttons, and the vents themselves. Probably one of the easiest installs i've had, since i didn't even have to solder up an ISO harness - it came w/ a toyota-specific harness so the only thing i had to splice myself was the power/trigger lead for my aftermarket backup camera. Last edited by Gibson99; 03-14-2019 at 04:03 PM. I would get an amp an use it's gain to tone down the volume setting #1. You should still have enough headroom to go deaf if needed. Another option is to install an L-pad at each speaker to lower it's volume. Or, use a couple resistors on each speaker to mimic a fixed L-pad rating. Lpads will affect sound quality and cost of 4 can approach some of the cheap small amps that are being sold these days. Sounds like a crappy head unit. No idea if this can be adjusted, there's no native Android setting for this that I know of. Could the issue be that the factory speakers are 2ohm and the headunit was designed for 4ohm loads? This would make the headunit's internal amp produce more power but at the expense of running hotter.